I-League club Real Kashmir has emerged the sporting ambassador and a ray of hope for the youth of Kashmir Valley. In contention for the title on its debut in the official league of the All-India Football Federation (AIFF), the club now is faced with the threat of its key home games being shifted out of the Valley. Following the Pulwama attack on the CRFP convoy, which resulted in the martyrdom of more than 40 Jawans, shadow of terror looms large on the Real Kashmir home matches against Minerva Punjab and East Bengal. 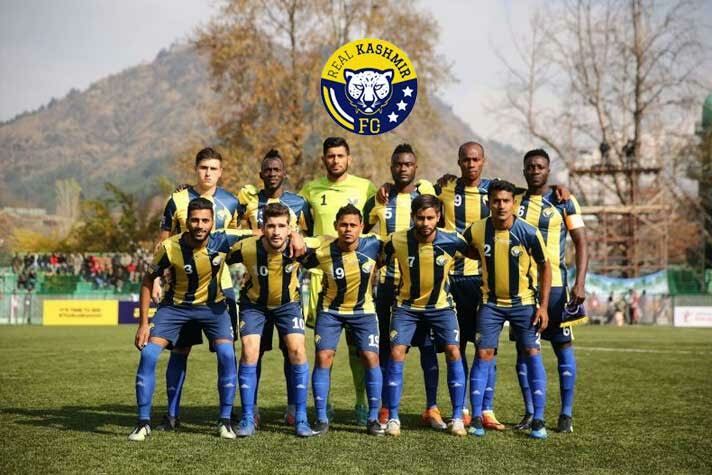 Both the I-League clubs have expressed serious security concerns for travelling to Kashmir for their away I-League matches. The clubs have approached the AIFF to shift their games to neutral venues. Minerva Punjab had to travel to Sri Nagar today for their match against Real Kashmir. The club has sought assurance from the Centre and the State Governments for the team’s security. “This isn’t about our safety alone. We, at Minerva, have been serving our armed forces for the last 60 years. We have also lost a Minerva Academy alumni in one of the attacks in Kashmir earlier this year. So we don’t think it’s time to go and play football as if everything is okay,” Minerva Punjab director and co-owner Henna Bajaj has told Indian Express. That means even a security assurance might not suffice to persuade the Punjab-based I-League team for playing in Kashmir under the prevailing circumstances. The club has also officially put its concern on record with the AIFF. The Minerva Punjab management has an association with defence forces for close to 65-years. The Minerva Academy is training Services Selection Board aspirants since 1955. The trainees and junior football programme talent train together and share the same hostel. The team’s jersey has the words ‘we salute Indian Army’ inscribed on it along with the flags of the armed forces. “The way things are right now, we can be soft targets,” Indian Express has quoted Ms Bajaj as saying. Real Kashmir’s title rivals East Bengal, too, have sought clarity from the AIFF over the security scenario in Srinagar. The Kolkata giants are scheduled to play Real Kashmir in Srinagar on February 28 in what can potentially be a title-deciding match. Even as playing in Srinagar earns the teams a bonus point, the two clubs are now reluctant to visit the Valley for their maiden games there this season. Meanwhile, AIFF officials have taken the stock of the situation in Srinagar from the J&K Football Association. “Our referees and match commissioner reached Srinagar today. We have been in touch with the club officials and other local authorities, and so far we have received positive feedback from everyone. So as things stand right now, both matches (Real Kashmir vs Minerva and Real Kashmir vs East Bengal will go ahead as scheduled,” says I-League CEO Sunando Dhar.